Santa Fe history is one of the best parts of visiting The City Different. Santa Fe has such a rich and long history it's impossible to not see its influence in the people, the buildings, the food, the art, and the customs. 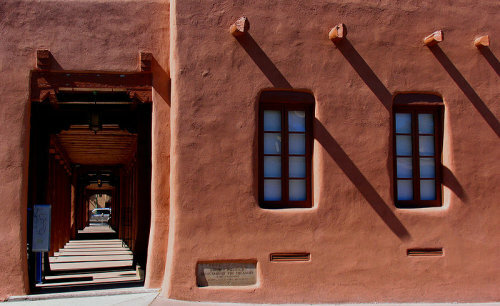 One of the best parts of exploring the history of Santa Fe is how easy and affordable it is for New Mexico residents. There are 5 museums to choose from and all are free on Sundays to New Mexico residents. That's a deal that can't be beat, right? I find taking a day trip up to Santa Fe a great way to get out of Albuquerque and have a change of scenery. If you're not in the mood to drive, consider taking the Rail Runner, which will drop you off at the Santa Fe depot. Now, while this isn't too close to the museums, I have a solution. Take the "M" bus from the depot to Museum Hill and the Plaza. It's inexpensive, runs every 15 minutes and is dedicated to getting people from the depot to the central part of the city. Easy! 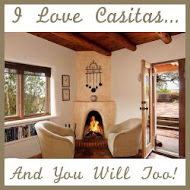 Now that we're headed to Santa Fe we need to decide where we want to spend our time. There are 5 museums to choose from, and while it's not likely you'll be able to see all in one day, it only means you have a reason to visit some other day in the future. Personally, I think it's great fun to visit them over and over because the exhibits change several times a year so you'll often see something new. An added bonus is they are all very close to each other. Museum of Spanish Colonial Art- This museum showcases the influence of Spanish style and art when the area was colonized by the Spanish crown in 1598. Many Spanish art styles and influences can be seen in the work of artists today, as well as artists from hundreds of years ago. The museum was founded in 1925 as the Spanish Colonial Arts Society by Mary Austin, a writer, and Frank G. Applegate, an artist and writer. 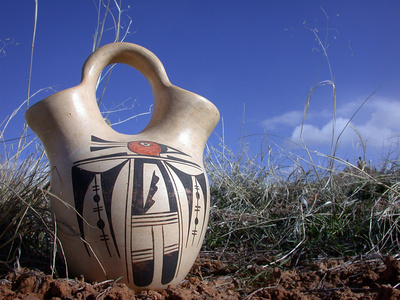 They became dedicated to preserving the Hispaño art forms of the past and also helping the style grow into the future. Additionally, Spanish Markets have been held at the museum since 1926 in which different artists are featured and their works are sold. Attendees have the opportunity to see fantastic pieces of art history and collectors have the opportunity to add one-of-a-kind pieces to their collections, some dating back hundreds of years. The third focus of the Museum of Spanish Colonial Art is to encourage children, up to age 17, to explore and learn about traditional arts. Don't forget, it's free to residents on Sundays. See more information about the Museum of Spanish Colonial Art here. Museum of Indian Arts & Culture- The history of Santa Fe includes a strong presence from the native people, the Pueblo Indians. Because of this, the Museum of Indian Arts & Culture is dedicated to sharing and inspiring a love of the native arts that were the foundation for the area today. The mediums supported by the museum include basket/textile weaving, painting, sculpture, pottery/ceramics, storytelling, history, language, and cultural aspects of the native people. Edgar Lee Hewett founded the museum in 1909 as a means to collect and preserve material culture from Southwest Native American sources. In 1927 the Laboratory of Anthropology was founded by John D. Rockefeller. His mission was to study cultures indigenous to the American Southwest. Both institutions provided great insight and in 1947 they merged to form the present day Museum of Indian Arts & Culture- Laboratory of Anthropology. Over the years the museum and laboratory have systematically acquired a vast collection of Southwestern anthropological artifacts and now owns the most comprehensive collection in the nation. Visit the museum and see for yourself! It's free to New Mexico residents on Sundays. More information about the Museum of Indian Arts & Culture is here. Museum of International Folk Art- This is one of the most varied museums in the entire city. Not just focused on Santa Fe history, like the others, this museum brings cultural exhibits from all over the world to its rooms. The museum was born out of Florence Dibell Bartlett's belief that learning about other cultures would breed a deeper sense of understanding of each other and greater personal connection to other people. She founded the museum in 1953 and it has expanded to four wings: Bartlett, Girard, Hispanic Heritage, and Neutrogena. 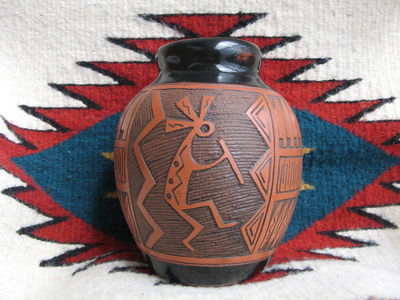 The museum has over 50 years experience in collecting, preserving, displaying, and interpreting the work of traditional artists from all over the world. This museum has lots of rotating exhibits, making it worth visiting over and over again. Don't forget, it's free to visit on Sundays if you're a resident. There's more information about the Museum of International Folk Art at their website. Wheelwright Museum of the American Indian- One of the most unique structures in the city, the Wheelwright Museum is housed in an eight-sided building resembling the traditional Navajo Hoogan. That's a real piece of Santa Fe history! Mary Wheelwright founded the House of Navajo Religion (now the Wheelwright Museum) in 1937. Her goal was to collect and study artifacts used by the Native Americans in their religious ceremonies. She collected weaving, artwork, ceramics, archives, and more. These exhibitions are centered around both modern and traditional, contemporary and historical Native American arts. One very unique aspect about Wheelwright is they focus on less popular genres so it's likely you'll see something you've never seen before. The organization is dedicated to bringing fresh, new pieces that haven't been seen anywhere else. Additionally, their store has over 200 Native American artists featured and offers not only contemporary art, but also fine art, crafts, jewelry, ceramic, and textiles. The Wheelwright Museum is free 7 days a week, so be sure to check it out. The Wheelwright Museum website has more information. Santa Fe history doesn't stop at Museum Hill. 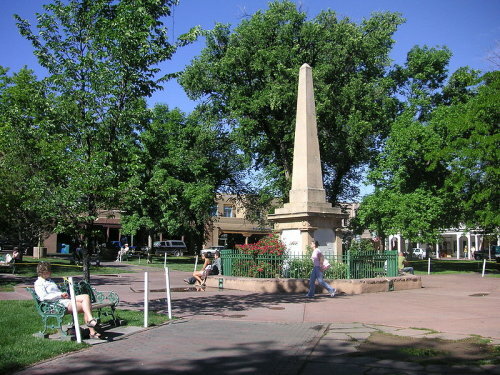 Hop back on the "M" bus, or scout out parking on one of the nearby streets, and head over to Santa Fe's own "Central Park". Santa Fe history is fully outlined at the Palace of the Governors museum. Conveniently located right in the plaza you can visit it between dining at some of the most delicious restaurants and shopping at some of the most unique boutiques. It's called the Palace of the Governors for a reason. 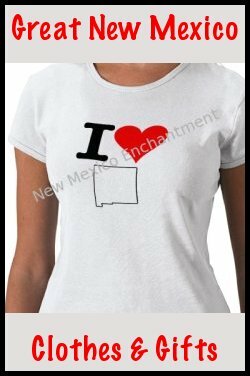 It was the original seat of the Spanish government in the early 17th century when they colonized New Mexico. The governors were sent over from Spain and were in charge of managing the residents, the taxes, and the laws of the territory of New Mexico. The museum basically chronicles the history of New Mexico. 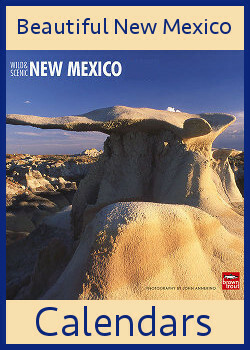 It's an excellent primer on New Mexico history and a great family outing. You will learn a lot in a short amount of time. I love this museum. It is self-guided or you can have a docent give you a tour. There are tons of free admission times, but all New Mexico residents are free on Sundays. If you need more information on the Palace of the Governors, please visit their website. If you're looking for the history of Santa Fe these are the most interesting, most inclusive way to learn. And with free admission there's no reason to not visit. The City Different invites you to explore Santa Fe history on your own terms. Take your time because there are so many influences and effects on the city from their hundreds-of-years-old history it will take more than one visit to soak it all in. The best part is it's an easy day trip from Albuquerque, a great supplement to your Santa Fe vacation, or an informative field trip where kids will not only learn but also have fun.